April 8, 2019 By David A.
Chris Davis is closing in on a record for futility. The Baltimore Orioles first baseman was 0-for-4 on Sunday with a pair of strikeouts in Baltimore’s 15-3 loss to the Yankees. Thus far this season, Davis is 0-for-23 and has struck out 13 times, bringing his current streak dating back to September of 2018 to 0-for-44. Davis last had a hit September 14, 2018 off James Shields in an Orioles game against the Chicago White Sox. Davis is just two shy of an all-time record for consecutive at-bats without a hit by a position player. Eugenio Velez, a former infielder with the Los Angeles Dodgers, who was 0-for-46 during the 2011 MLB season, currently holds that record. Velez broke a 0-for-45 streak that the Pirates’ Bill Bergen set in in 1973 and Craig Counsell equaled in 2011 while with the Brewers. Baltimore’s manager Brandon Hyde is trying to remain positive with his first baseman, who has a pair of RBIs on a fielder’s choice and a walk with the bases loaded. 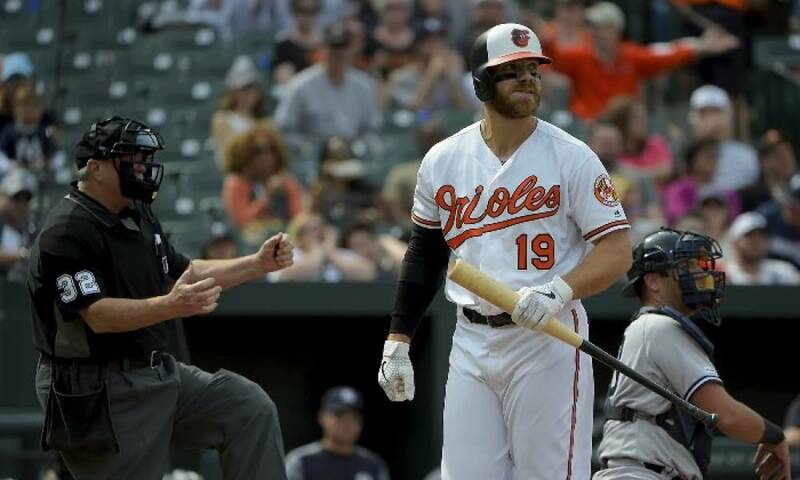 The majority of the Oriole’s lineup did not fare well Sunday against Domingo German the Yankees lefthander who allowed just two hits, two walks and two runs while pitching into the seventh inning. Davis hit just .168 last season, but managed to hit 16 home runs and knock in 49 runs with an OPS of .539. Orioles’ fans have booed Davis at Camden Yards following his strikeouts. 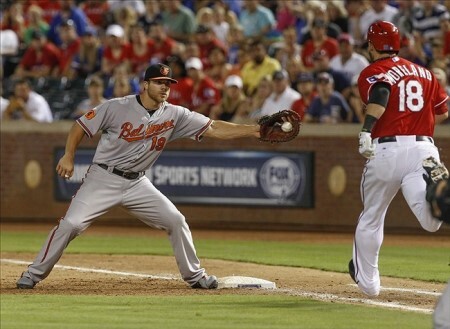 The first baseman is playing the fourth season of his seven-year $161 million contract.